If you are a bloomin onion lover then you are probably familiar with the frustration that comes from having some leftovers of this delicious food. Finding the best way how to reheat bloomin onion is a challenge to many people because they end up with a meal that is soggy or burnt. This is something that you will face when warming up fried foods. It may be a disappointment because you want to retain their original crispiness. All hope is not lost because there are different ways you can reheat your onion blossom without getting soggy. You will enjoy the taste it initially had before it became cold. If you like onion rings then you will surely appreciate the blooming onion because it is the tastiest form of cooked onion. Most people order it as an appetizer when they go out. 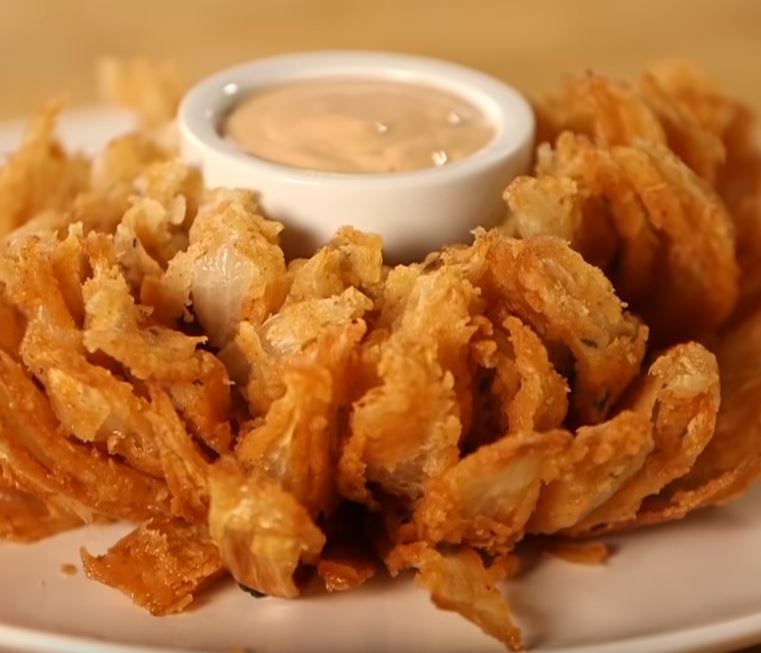 Here are some ways you can warm up your home-made nion blossom or bloomin onion from Outback. If you have an oven or toaster oven then that should be this first method you consider. The oven will warm up your bloomin onion and give you the taste it had when you first bought it. Start by preheating the oven to between 325oF to 425oF depending on how hot your oven appliance gets. Place the onion blossom on a baking sheet and then cover with foil. Put the food in the oven for approximately 10 to 15 minutes. Remove your blooming onion and check if it is hot and crispy. When using the oven, watch it because it can get burnt if it is subjected to too much heat. A good toaster oven will have a mode that is well suited for reheating this type of delicate food. An air fryer or infrared oven is great for warming up onion blossom because it keeps it crispy. A common mistake that many people make when reheating foods using an air fryer is not adding oil. It is advisable to use a low quantity of maintain that crispiness. Spray some cooking oil on the bloomin onion. Put the food in the air fryer’s basket at a temperature of 375oF and leave it for around 10 minutes. Monitor how the onion is getting reheated and take it out if it is warm and crispy after the 10 minutes. Fried foods and microwave do not usually go hand in hand because the foods usually come out soggy. However, if you still want to try it or the microwave is the only heating appliance you have at the moment then you can warm up the bloomin onion 1 minute. There is a general notion that bloomin onion can only be enjoyed when fresh. This is not true. The sad part is that it has prevented some people from buying as much onion blossom as they can because they think that if some are left over then they will end up in the dustbin. If you love this delicacy then you need to know how to reheat blooming onion. You can do this using various reheating appliances depending on what you have and the outcome you want. Do not be discouraged by the fact that you microwave is not a good option for warming up your onion blossom because there are other methods like using an oven or air fryer that will give you good results. Even a pan or skillet can be used, but I have found out that methods described above will give you the best results. Hope you try these out and enjoy your reheated bloomin onions.